This recipe is inspired by the region of Toscana in Italy. Cook pasta sauce and meatballs in saucepan on medium heat 8 to 10 min. or until heated through, stirring occasionally. 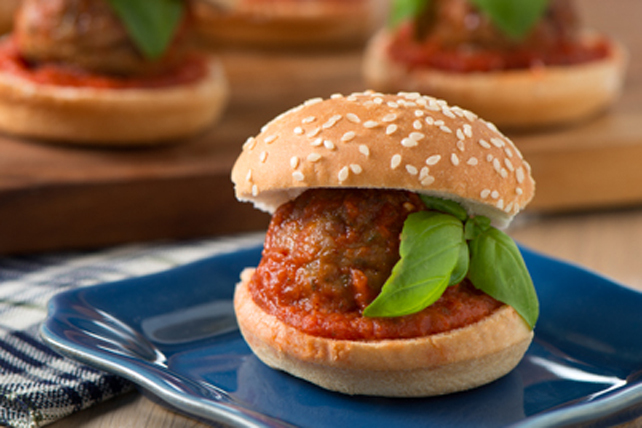 Fill buns with meatballs, sauce and basil just before serving. Prepare using Classico di Napoli Tomato & Basil Pasta Sauce. Add 1-1/2 tsp. Cracker Barrel Shredded Mozzarella or 4 Cheese Italiano Cheese to each slider.